ZESCO United want a win against Kumasi Asante Kotoko on Wednesday, striker Osumani Rahim has hinted. The striker believes the worst for the Zambian side should be a draw as the two clash in their second group match in the CAF Confederation cup. "Kotoko is coming into this game with a loss from Sudan and so will want to win for their fans but we also want to continue with our winning streak. "I know a lot of the Kotoko players,Muntari Tagoe and Abass Mohammed . Kotoko's advantage will be the crowd that will be behind them but we ask for fair play so the better side wins on the day. "Our worst results will be draw,we want to win but at least a point back to Zambia"
It is a much that is more importance to Porcupine as it will define their chances of qualifying out of the group stage, having lost their first match against Al Hilal Omdurman. 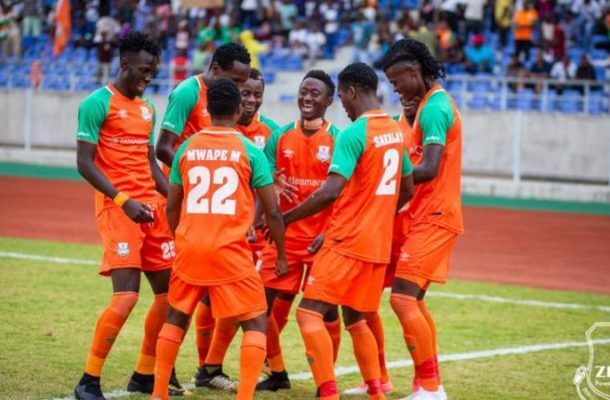 A win for ZESCO will put them in pole position of qualifying to the quarter finals of the 2018/19 edition of the CAF Confederation Cup, after beating fellow Zambian team Nkana FC. Coach of ZESCO George Lwandamina has said his side is in not under pressure ahead of the epic encounter. Asante Kotoko coach Charles Kwablan Akunor, has howver, urged says his side to put up a better defensive performance in their game against Zambian league Champions on Wednesday. The Zambian giants currently top Group C of the CAF Confederations Cup and a win for them in this match will game them a major boost whiles kicking Kotoko into more trouble.